LANCASTER – Hundreds of residents are expected to observe the annual national commemoration of Justice Sunday by attending a local community forum in the Antelope Valley. The program will be held from 4 to 6 p.m., Sunday, January 19, at the Lancaster Performing Arts Center (LPAC), located at 750 West Lancaster Boulevard. “The time is from 4 to 6, however the doors will be opening at 3, because we’ll have some community-based organizations and people sharing resources and information prior to the program starting,” said Naima Moore, Justice Sunday Committee Chairwoman. Los Angeles Superior Court Judge Denise McLaughlin-Bennett will serve as the program’s master of ceremonies. The program will also include a video presentation featuring Los Angeles District Attorney Jackie Lacey, Moore said. The event will also feature musical performances from local groups, Moore said. The event is free and open to the community. View a flyer for the local event here. 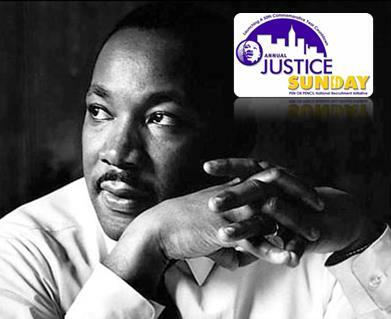 Justice Sunday is an annual event observed in cities across the country to commemorate the life and legacy of Dr. Martin Luther King Jr. The event was founded by the National Alliance of Faith and Justice (NAFJ), a nonprofit association of criminal justice professionals and community leaders, whose mission is to promote the value of the inclusion of faith in addressing prevention, consequences and resolutions of crime with emphasis upon the most culpable and vulnerable issues and stakeholders. Justice Sunday has been observed by millions since 2000 as a precursor to the Monday federal holiday observed as the Martin Luther King Jr. Day of Service. For more information on Justice Sunday, visit www.nafj.org. 1 comment for "‘Justice Sunday’ to be held at LPAC"
Hey thanks for posting this what a day or two before this BIG EVENT. Would have loved to have shown up at this one but then that’s probably why it wasn’t posted sooner, so I wouldn’t.